On GDPR, cloud, data technology, and much more. Over 800 professionals participated in this third edition of Big Data Survey and shared their insights and experiences on topics like data strategy, implementing data science, technology, cloud, gdpr, and how to be attractive as an employer. - What makes a data strategy successful? - How do organizations apply data in practice? - Are organizations ready for GDPR? - Is cloud generally perceived as enterprise-ready? - Which technologies are most popular? 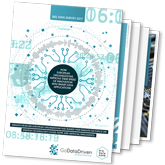 Download the Big Data Survey 2017/2018 for more insights! Would you like to get the latest insights? 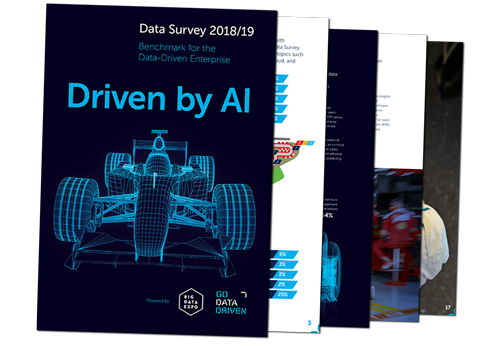 Check Data Survey 2018/19. In this fourth edition, 1,345 professionals shared their experiences in topics such as data strategy and technology, data science implementation, cloud, and more efficient talent acquisition.